Published as “The Cross and the Eucharist: the Doctrine of the Atonement According to the Catechism of the Catholic Church”, European Journal of Theology VIII (1999/1) 49-59. Generally speaking, Roman catholic doctrinal statements, creedal formulations but also catechistic tools are characterised by a high degree of theological sophistication. The wisdom, the depth, the wideness of the sapiential tradition of the church is throughout apparent in its written forms. Moreover, catholic magisterial documents are usually articulated in a language so meditated, pondered and polished that often require subsequent readings in order to be grasped. It has to be recognised that the Vatican, among many other things, produces also masterful pieces of theological elaboration. This is even truer with regards to the works of individual catholic theologians, think of Yves Congar, Karl Rahner, Avery Dulles …. However, there are two exceptions in which such a combination of richness of thought and expository ability is not so evident as in the vast majority of cases: one is these areas is eschatology, the other is the doctrine of the atonement. On eschatology and the atonement, just to name two very broad theological loci, catholic magisterial teaching is, at least to a certain extent, fairly sober, hardly resembling the unmistakable symphonic catholic way of theologizing. On these doctrines, the magisterium usually echoes a scripture-borrowed language and quotes numerous sections of early ecclesiastic traditions. What seems to be lacking, at least as a first – perhaps misleading impression, is the attempt to construe a tipically catholic piece of doctrine with its consolidated features. In the 1992 Catechism of the Catholic Church, the somewhat “low-key” treatment of the atonement is consistently pursued in line with the above mentioned theological moderation. From a mere quantitative point of view, this scant approach is shown, firstly, by the rather hurried exposition of the significance of the death of Christ which covers only less than 30 paragraphs (595-623) – approximately 1% of the whole Catechism. Secondly, the Catechism‘s discourse on the atonement adopts a mere descriptive line in dealing with the variety of ways in which the Bible speaks of the cross of Christ. In the text promulgated by pope John Paul II, different biblical images and models of the atonement are evoked in order to present its multifaceted meaning. According to a catholic commentator, John McDade, this descriptive way of presenting the atonement stands in continuity with “a wise tradition in the Church” whereby no model of the atonement is given “dogmatic status”. 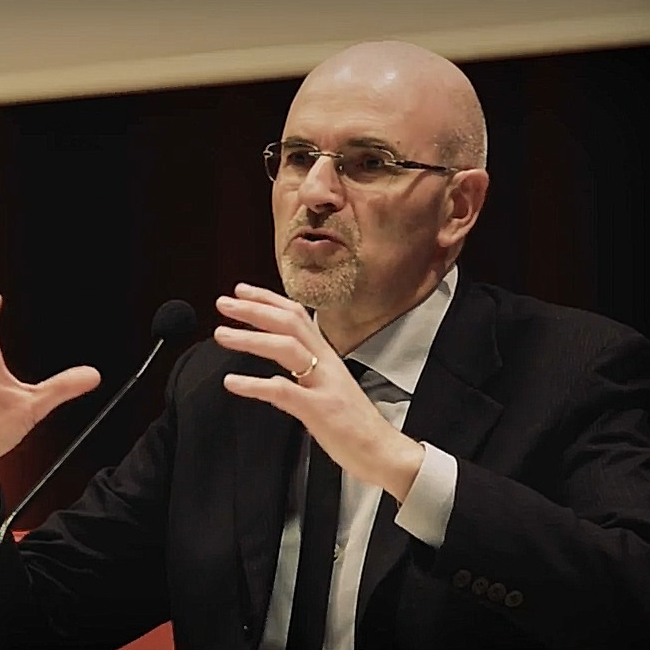 In this respect, it is interesting to notice that this alleged super-partes position endorsed by catholic teaching is contrasted by McDade with the marked evangelical tendency to uplift the “penal substitution theory” as the chief soteriological paradigm in coming to grips with Christ’s saving work on the cross. The Catechism does not espouse any image of the atonement as the controlling-principle and it does not elevate any image least it become the hermeneutical access and regulator of the doctrine itself. Therefore, in expounding the magisterial teaching on the atonement, the Catechism is said to have simply restated “the common themes which have always stimulated the Church’s prayerful reflection”. Suffice these rather hasty considerations to provide a general introduction to the understanding of the atonement as it is articulated in the Catechism. To deepen our appreciation of it, it seems necessary to explore the dynamics of the doctrinal exposition which entail the historical events related to Calvary and the sacramental corollary attached to offering of the cross. The catholic view of the atonement is presented in the context of the exposition of the Fourth Article of the Profession of the Christian Faith (i.e. the Apostles’ Creed) which states: “Jesus Christ suffered under Pontius Pilate, was crucified, died and was buried”. The comment spans from paragraph 595 to 623. In the first part of the section, after having recalled the trials of Jesus, attention is given to the fact that the responsibility of Jesus’ death is not attributable to the Jews as a specific ethnic group, but to all sinners as the whole of the human race (595-598). That is to say that, on the one hand, Jews are not collectively responsible for Jesus’ death and, on the other, that all sinners were the authors of Christ’s passion and death. Subsequently, the Catechism unfolds the redemptive significance of the events related to the cross in God’s plan of salvation. Christ’s death was in accordance to God’s will to make His love effective in that way (599-600); it was also the fulfilment of the Scriptures’ foretelling which prefigured what had to happen, and, in this respect, Isaiah’s prophecy of the suffering Servant is mentioned (601). Moreover, it was “for our sake” that Christ died, that is He did experience reprobation not because He himself had sinned but because God “established him in solidarity with us sinners” (602-603). The reference to the clause “for our sake” is explained in terms of Jesus assuming us in the state of our waywardness of sin thus establishing a solidarity with sinners. In line with the already mentioned sobriety of the catholic treatment of the atonement, no further hints are given as to the way to understand the nature of such “solidarity”. To widen the picture, it has to said that the substitutionary language is also evoked when, in the context of a reference to Isaiah 53,10-12, Jesus is said to have “accomplished the substitution of the suffering Servant” (615) and thus “atoned for our faults and made satisfaction for our sin” (615). Solidarity and substitution appear to be the two hermeneutical keys to have access to the biblical expression “for our sake”. What seems to be prevalent, however, is an interpretation of the “for our sake” clause whereby Christ is thought as having chosen to be near to the sinners, alongside them, besides them. “For our sake” takes a nuance of meaning stressing Jesus’ sympathizing with the fallen human race. On the whole, these paragraphs stand out for their concentration on the salvific significance of Jesus’ life and ministry which finds its climax at Calvary. The full story of Jesus is the core of the presentation as well as the proper context for understanding the events related to the cross. According to a telling comment by Wolfhart Pannenberg, this particular section “forms a high point of the entire work because here finally attention is paid to modern exegesis in that the sacrifice of Jesus is not presented as an appeasement of the Father nor is it limited to the crucifixion”.. In Pannenberg’s opinion, the proper focus of this part of the Catechism is instead, and rightly so for him, “Jesus’ entire life of commitment to the mission he received from his Father for the salvation of humanity”. This is not to say that there is no attempt to provide soteriological insights as far as the atoning meaning of the cross is concerned. As mentioned in the introduction of the paper, the Catechism, in its rather descriptive vein, employes different formulae and definitions in reference to Christ’s death. The cross is seen in the context of the relationship between the Son and the Father, its links with the Paschal theme and having in view what it accomplished in terms of redemption. More specifically, Christ’s death is referred to as a “voluntary offering to the Father for the salvation of men” (610); “an act of complete and free submission to the Father’s will” (1008); “the Paschal sacrifice that accomplishes the definitive redemption of men” (616); a “redemptive sacrifice for all” (616); “a mystery of universal redemption” (601). In an encompassing clause, the salvific apprehension of Christ’s sacrifice is specified in terms of “reconciliation” (613, 614), “redemption and reparation”, “atonement and satisfaction” (616) but no further elucidation is given about such words. Their theological meaning is left loosely undefined and this semantic imprecision responds to the specific purpose earlier spoken of. Concerning the nature of the sacrifice of Christ, the Catechism specifies that it is “unique” in the sense that “it completes and surpasses all other sacrifices” (614), that is Old Testament sacrifices. It is a therefore a retroactive and retrospective uniqueness, a uniqueness in comparison with the sacrifices of the old covenant. No reference is made at this point as to whether or not the new covenant demands that the sacrifice of Christ be made present again and again. As we will see, the understanding of the finality of the cross is dealt with in the Catechism by inserting it in the wider sacramental system which calls for re-presentation and actualization of the sacrifice of Christ and participation in it. One aspect which perhaps deserves consideration is related to the vexata quaestio concerning the extension of the atonement. In this respect, the Catechism espouses the universal, un-limited thrust of the atonement in line with the well-established tridentine tradition. Added to that, as we have seen from the paragraphs already quoted, in the Catechism there are numerous texts which point to a universal application of salvation without, of course, explicitely affirming it. The statement “Christ died for all men without exception” in his “universal redeeming love” (605) well epitomizes the catholic persuasion on the matter. Later (616), we read that “the existence in Christ of the divine person of the Son, who at once surpasses and embraces all human persons, and costitutes himself as the Head of all mankind, makes possible his redemptive sacrifice for all“. In order to support the un-limited thrust of the death of Christ, the Catechism quotes the Council of Quiercy (853 AD), which in turn affirms that “there is not, never has been, and never will be a single human being for whom Christ did not suffer” (605). Notice the rather inappropriate choice of this alleged conciliar confirmation to the view of a universal extension of the redemption achieved by the cross. In facts, the full quotation of the Council of Quiercy is the following: “as there is not, never has been, and never will be a single human being whose nature has not been assumed by Jesus Christ, our Lord, so there is not, never has been, and never will be a single human being for whom Christ did not suffer; however, not all are redeemed by the mistery of his suffering “. Why is it, at least, an inappropriate support? Firstly, it has to be recalled that Quiercy refers to Christ’s suffering, not to his death as the context of paragraph 605 would instead clearly imply. Moreover, Quiercy thinks of Christ’s suffering in analogy with the incarnation, not with his death as the Catechism maintains. Finally, whereas Quiercy upholds the reality of reprobation, paragraph 605 uses the quotation of the council to stress God’s universal redeeming love. As a matter of historical fact, the purpose and the focus of the council of Quiercy had been the rejection of double predestination and not the endorsement of an un-limited view of the extension of the atonement. Perhaps, it is not unfair to say that, in this respect, the Catechism has made an unfortunate choice of a text which, thought not incompatible with the general thrust of this section, actually does not directly back up what has been argued in it. On the whole, it is a concise exposition of the fourth article of the Creed which underlines the importance of Jesus’ entire life on earth and recapitulates a wide range of fundamental images of the atonement without providing a distinct theological framework with regards to the shaping of an over-all doctrinal interpretation. In the last paragraph of the section (618), however, a certain catholic specificity on the sacrifice of Christ begins to emerge when “our participation in Christ’s sacrifice” is evoked and the possibility “of being made partners in the paschal mistery” is envisaged. This is just the anticipation of what constitutes a foundational tenet of the catholic dogmatic system that will be developed later in the Catechism. The brief exposition of soteriological significance of the passion and death of Jesus Christ does not bring the word “end” to the teaching of the Catechism on the accomplishment and application of redemption. It just opens the door to the specifically catholic understanding of the sacraments in general and of the eucharist in particular. Even a quick perusal of the content of the Catechism will show a striking contrast between a just sketched theology of the cross and a fully developed sacramentology, a sober presentation of the atonement of Christ, on the one hand, and a majestic depiction of the sacrament of the eucharist, on the other. Even from a quantitative point of view already pursued at the beginning of the paper, there is a outstanding disproportion in the economy of the whole Catechism between the brief way in which Christ’s death is treated (less than 30 paragraphs), and the detailed exposition of the sacrament of the Eucharist which covers almost 100 paragraphs (1322-1419). Theologically, this quantitative disproportion involves an entire shift of attributed importance from the redemptive significance of Christ’s sacrifice on Calvary to the eucharistic re-presentation of that sacrifice. We are confronted here with a crucial point in catholic magisterial teaching: the Catechism is far more interested in presenting the eucharistic representation and the sacramental actualization of the atonement than its once and for all historical occurrence and salvific achievement. Of course, catholicism does not perceive the distinction between the cross-offering and the mass-offering as a polarization or contrapposition between two conflicting elements, as one would imply the exclusion of the other and viceversa. The catholic mindset is able to coniugate the two offerings as to overcome their reciprocal exclusiveness. Having said that, the standing impression is that the “whenever” of the eucharist supersedes the “once only” of Calvary, the altar absorbes the cross and the sacramental system encapsulates the redemptive event. In light of this sustained emphasis, it is not at all surprising to read the Catechism stating in a rather doxological vein that “the Eucharist is the source and summit of the Christian life” (which is actually a quotation from LG 11) or again “the sum and summary of our faith”. No parallel statements, or at least comparable ones, are referred to the cross and this difference of treatment speaks volumes if ascertained by an evangelical sensitivity. We are not interested here to follow the Catechism on the why, how, when, where and by whom the eucharist is celebrated, nor is this the occasion to formulate a theological analysis of the eucharist; rather, we are concerned with the what is celebrated in the eucharist in terms of the nexus between the once-for-all event of Calvary and the continuing celebration of the eucharist. First of all, it is important to pinpoint the language employed by the Catechism to refer to the eucharist with regards to the cross. Having in view a sort of basic definition, it is argued that the eucharist “re-presents (makes present) the sacrifice of the cross, because it is its memorial and because it applies its fruit” (1366). Other expressions include the following: the eucharist “perpetuates the sacrifice of the cross throughout the ages” (1323), it is the perpetuation of Jesus’ offering (611), it “makes present the one sacrifice of Christ the Saviour” (1330), it “is the memorial of Christ’s Passover, the making present and the sacramental offering of his unique sacrifice” (1362), in it “the sacrifice of Christ offered once for all on the cross remains ever present” (1364). To widen the scope of the magisterial teaching to earlier documents, the eucharistic vocabulary becomes even richer. In the encyclical Mediator Dei (1947), for instance, pope Pius XII wrote that the eucharist “represents”, “re-enacts”, “symbolises” (figurant), “renews” (perpetuo in Ecclesia renovari iubet) and “shows forth” (mirando quodam modo ostenditur) the sacrifice of the cross.Apart from the complex terminology adopted, here again the Catechism does not pursue further the delineation of the theological connotation of such words. What is all-together clear is that, in the catholic understanding of the connection between Calvary and the eucharist, the cross-offering is inextricably related to the mass-offering. The latter has to be understood as a renewal and perpetuation of the former but essentially linked with it. In this respect, the eucharist “is a memorial filled with the reality of that which it commemorates” and therefore it “neither merely recalls nor actually repeats the sacrifice of the cross, but renders it sacramentally present”. In the eucharist, the reality signified – i.e. the body and blood of the Lord Jesus – which has its proper mode of existence elsewhere, is truly contained in its symbolical representation. The eucharist is thought not as being a complementation nor a reduplication of the cross but its sacramental re-enactment within the liturgical gathering of the church. 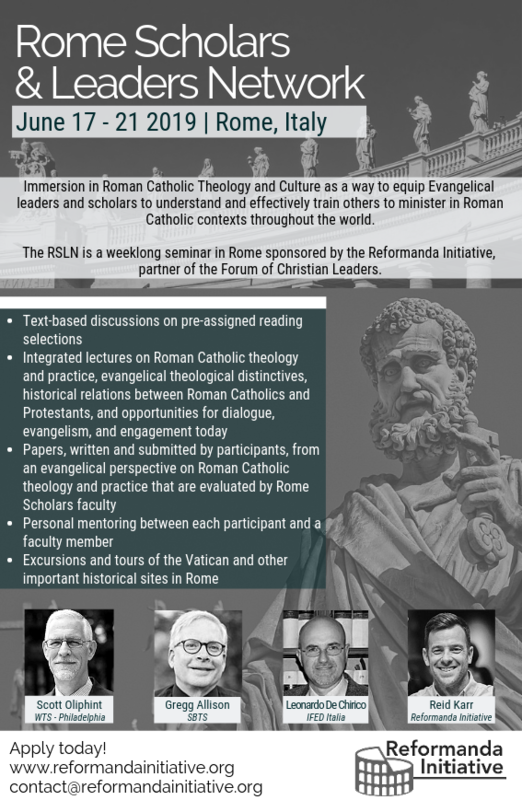 In this respect, it has to be pointed out that the popular evangelical critique of Roman eucharistic teaching is wrong when attributes to catholicism the view according to which the eucharist is a repetition of the cross. It is not a repetition, but something subtley different! So intervowen is the eucharist to the cross that the two sacrifices are considered as “one single sacrifice” (1367), though as we have already seen, the cross is also said of being a “unique” sacrifice. Apparently, the tetelestai of John 19,30 and the apax theme of the letters to the Hebrews and Jude are understood dynamically as to include subsequent enactments of the same sacrifice. The catholic concept of time allows such an elastic interpretation. Coming back to the relationship between the cross and the eucharist, the victim of the sacrifice is the same whereas the manner is different, bloody as for the former, unbloody as for the latter (1367). The unbloody sacrifice of the eucharist is the bloody sacrifice of Calvary made present in the mysterious presence of Christ in the consacrated host, in virtue of the heavenly priestly ministry of Jesus, and as a pledge of the Church’s union with Him as His body. To show the continuity of the catholic church’s teaching in this respect, the Catechism quotes the Council of Trent (“.. the bloody sacrifice which he (Christ) was to accomplish once for all on the cross would be re-presented, its memory perpetuated until the end of the world, and its salutary power be applied to the forgiveness of the sins we daily commit”, (1366) and various Vatican II documents. It is throughout apparent that the axis Trent-Vatican II forms the strong backbone of the Catechism on the eucharist. The eucharist is also a sacrifice, states 1365. It is a sacrifice because it is the memorial of Christ’s passover. The sacrifice of Christ is made present in the eucharist so that the sacramental act which makes it present shares the same sacrificial nature of the cross. In other words, the eucharist shares the same sacrificial nature of the cross. Because it is a single sacrifice with the cross, the eucharist has also redemptive value and effects. In facts, the Catechism maintains that “as often as the sacrifice of the Cross by which “Christ our Pasch has been sacrificed” is celebrated on the altar, the work of redemption is carried out” (1364 quoting LG 3). The council of Trent spoke of the eucharist as being also “truly propitiatory”; in the Catechism, this propitiatory connotation of the eucharist has been dropped out in the sense that it is not repeated explicitely. However, the tridentine theology of eucharistic propitiation remains basically unaltered in that the eucharist has both a sacrificial status and redemptive function. So far, we have seen that the Catechism has focused on the historical event of the atonement and, with a much more detailed theological costruction, on the sacramental events which re-enact it. The links between the cross-offering and the eucharistic offering are one of the major tenets of the whole catholic understanding of the nature of the atonement and the way in which its redemptive achievements apply to mankind. There is yet another key element of extraordinary dogmatic weight which stems from the teaching of the Catechism and which belongs to the core of the Roman catholic faith. At the end of the section on the passion and death of Jesus Christ, the Catechism makes reference to “our participation in Christ’s sacrifice” (618), where “our” stands for the collective participation of all who, by means of the incarnation, are somehow united with Christ (cf. GS 22,2). It has to be said that, for catholicism, “our participation” has a distinct ecclesial significance, meaning thus the church’s participation. This clause – “our participation in Christ’s sacrifice”- immediately sounds an alarm bell in protestant ears in as much as the uniqueness, sufficiency, completeness and finality of the cross would not contemplate any sort of addition, supplementation or contribution on our part as church. If it is Christ’s, it is not ours in the sense that we do not actively participate in it but only thankfully and undeservedly receive its gracious benefits by faith. Of course, the church’s actual taking part in the sacrifice of Christ is instead perfectly legitimate, indeed a sheer truism, within the catholic dogmatic framework. Where a protestant sensitivity perceives an incompatibility, indeed an impossibility of any form of synergism between the perfect work of Christ and our response to it, the catholic mindset allows, indeed requires that what is attributable to Christ somehow pertains to the church as well. According to the Catechism, which at this point quotes GS 22,5, the possibility to be partners in the paschal mystery is offered to everybody (618). This rather cryptic expression is not spelt out at this point but just inserted prolectically as to anticipate what will follow in a subsequent stage. In order to receive clarifications on the matter, we have to refer to the section on the ecclesial aspects of the eucharist, where the teaching on the way in which this participation in Christ’s sacrifice has to be apprehended is unfolded. The Catechism envisages an ecclesial active participation in the sacramental enactment of the eucharist. Not only is the eucharist the sacramental re-presentation of Christ’s sacrifice but it is also the sacramental enactment of the sacrifice of the church. The church’s involvement is so prominent that the eucharist itself is said to be the “memorial of the sacrifice of Christ and his body, the church” (1362). In the eucharist, “the sacrifice of Christ becomes also the sacrifice of the members of the body” (1368) and therefore it “includes the Church’s offering” (1330). In the sacramental act, the church is the recepient of the benefits of the eucharist but it is also the active agent, the offering party and, because she is the body of Christ, the church is the content of the offering itself. The eucharist is something offered for the church but also from the church and by the church (1118). The church is so directly involved in what happens in the eucharist than what is offered in the eucharist is her offering, her sacrifice. It is also true that, according to the Catechism, the church’s sacrifice is never isolated from its Head, as if it were another sacrifice, but, on the contrary, the church offers it in Christ, with Christ and through Christ (1368), thus being the one and the same sacrifice of Christ (1367). Here, the catholic understanding of the unio mystica between Christ and the church is fully in view and forms the theological background against which the whole discourse of the Catechism on the participation of the church in the sacrifice of Christ needs to be located. In the eucharist, Christ and the church are so closely intertwined that, as Raymond Moloney has maintained, “the one who offers is the one who is offered, namely the body of Christ, Head and members, now united in one great communion of worship”. In the eucharist, the relationship between Christ and church is thought as belonging to the categories of head and members forming together the whole Christ, the totus Chistus (795). Head and members are united in the offering of the eucharist. So, the mode of participation of the church in the sacrifice of Christ is sacramental; the event in which the participation takes place is the eucharist; the theological rationale which warrants participation is the mystical union between Christ and the church, head and members, who form one body (1119, 793); the content of the sacrifice contains the church herself in that the church, as the members of the mystical body, cannot be separated from the Head which is offered. A brief summary of some major tenets of what the Catechism teaches on the cross and the eucharist could be helpful at this point. Firstly, the sacrifice of Christ has to be made present and actualized in order for its benefits to be applied. Its re-enactment occurs in the eucharist. The eucharist is the sacrament from the church and by the church. The church is mystically united with Christ, forming a single body with Him. If we look carefully at what is explicitely affirmed or implicitely assumed in the Catechism as far as the work of redemption is concerned, it becomes clear that the fundamental catholic framework of thought is at stake in what we have briefly overviewed. The theology of sacramental re-presentation of the sacrifice of Christ combined with the theology of ecclesial participation in the sacrifice of Christ bring to the very heart of catholicism. On the one hand, we are confronted with the sacramental principle of catholic theology whereby divine grace, in order to be mediated to created nature, needs ever-enacted instantiations of grace beyond the unique event of Calvary, even though not without Calvary, and passes through the ecclesial apparatus and procedures as means of grace beyond the sovereignty of grace and beyond the reception by faith, even though not without faith. On the other, the incarnational principle of catholic theology whereby the church is seen an the extension of the incarnation of Christ, forming with Him a mystical body, and, by way of this mystical union, exchanging properties with Him and taking an active part in His redemptive work. What is more foundational to Roman catholicism than its over-arching sacramental structure and its magnificient ecclesiological self-apprehension? Having said that, there is perhaps the possibility of pushing the analysis further by underlining the typically catholic epistemological framework in which these sacramental and incarnational principles operate and are governed by. I mean the kind of (theo-)logic which functions beneath the surface of the catholic dogmatic discourse, i.e. the both-and approach, the et-et. In the catholic Catechism, we have the cross and the eucharist, the once-for-all event and the sacramental re-presentation, the sacrifice of Christ and the sacrifice of the church, etc. This kind of stereoscopic epistemology enables catholicism to join together two elements as to form an integrated whole. According to it, maintaining something does not necessarily mean negating something else; on the contrary two contrasting perspectives may bring different light to the same truth, the comprehensive truth, the catholic truth. As everybody knows, the Reformation endorsed a totally different mindset stemming from a radically different epistomology, the so-called aut-aut approach, the either-or. Not by chance, the Reformers saw the necessity to make fundamental choices involving not only the affirmation of the truth but also the rejection of what was perceived as incompatible with the biblical teaching. Therefore, expressions like solo Christo, sola gratia and sola fide well capture the need for theological rigour and integrity. In light of what has been said concerning the teaching of the Catechism, one wonders whether the old epistemological issue between catholicism and protestantism is still a neuralgic, strategic point of differentiation which undelies each and every area of the respective theological orientations. In its dealing with the whole issue of the cross and the eucharist, the Catechism simply reiterates the bulk of the tridentine teaching without breaking any new ground as to a possible repproachment to a more evangelically shaped theology of the atonement. In this respect, I must confess that I find the recent document The Gift of Salvation released in USA at the end of 1997 and subscribed by some evangelicals and catholics, at least puzzling if not misleading. More than that, the possibility of engaging in constructive dialogue on the doctrine of the atonement is not encouraging, given the centrality within the catholic framework of the related issues of sacraments and church which appear to be unquestioned and unquestionable. In ther end, the sacramental and ecclesial attachments to the work of Christ, as found in the Catechism, deprives the atoning death of Christ of its finality because, though considered as paramount, the cross is not appreciated as efficacious per se. By ascribing to the eucharist the possibility for the fruits of the cross to be applied to man, the Catechism makes the response of faith necessary but not sufficient in order to be saved. Moreover, by assigning to the church a highly-christological status with quasi-ontological overtones, the Catechism makes room for the church to play a co-operative role in salvation. These are all controversial issues that evangelicals have traditionally and critically dealth with in their attempts to evaluate Roman catholic doctrine. The difference on these matters is still with us, wide and fundamental as ever. In closing, I find no more adequate words than those elaborated by the World Evangelical Fellowship in its 1986 Perspective on Roman Catholicism. Chronologically, they were written prior to the publication of the Catechism but, nonetheless, they well apply also to the thrust of this magisterial document: “At bottom, our evangelical critique of Roman Catholic sacramentology points up the conflict between two opposing views of the Christian faith. 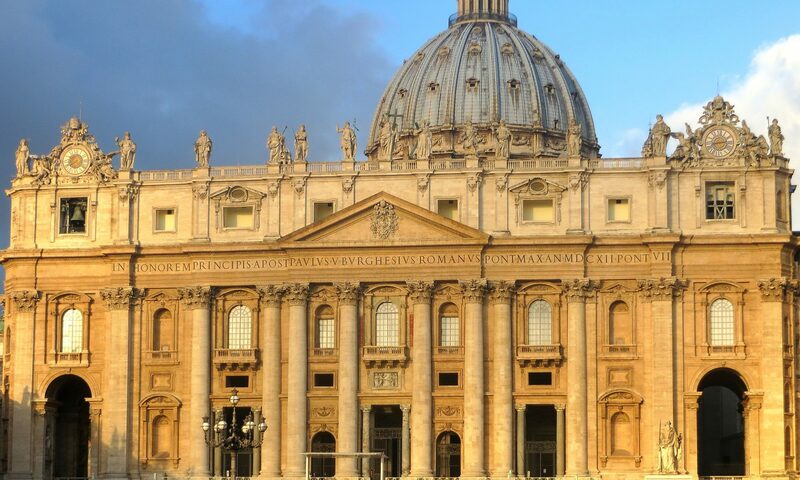 Rome sees itself as an extension of the incarnation, thus divinizing human beings as they cooperate with God’s grace that is conferred by the church. Over against this view stands our evangelical commitment to the free gift of righteousness, imputed solely by the grace of God, received by a true faith that answers to God’s Word, and based fully upon the once-for-all expiation of guilt through the finished sacrifice of the perfect Substitute, Christ Jesus. This confession is for us the gospel”. The Catechism was launched on October 11th 1992, though the English official translation was published only in 1994. Introductory reviews and comments on the Catechism are Marthaler (1994), Nichols (1995) and McClymond (1996). Evangelical works dealing with it are Geisler-MacKenzie (1995), Carson (1996) and occasionally Armstrong (1994). In fact, the Catechism is formed by 2,865 paragraphs. Robert Murray SJ, “The Human Capacity for God, and God’s initiative” in M. Walsh (1994) 6-33 (the quotation is from p. 31). John McDade SJ, “The Death of Christ, his Descent among the Dead, and his Resurrection” in M. Walsh (1994) 143-161 (the quotation is from p. 143). In this respect, valuable material is in Kilmartin (1967), Scheffczyk (1968) and Moloney (1995). Denz. 3840-3855. Cf. Stott (1986) 264-267. Raymond Maloney SJ, “The doctrine of the Eucharist” in M. Walsh (1994) 259-273 (the quotation is from p. 265). Other references to Trent are in §§ 1337, 1367,1371, 1374, 1376, 1377, 1394. §§ 1323, 1324, 1344, 1346, 1364, 1369, 1373, 1388, 1392, 1399, 1405. R. Moloney, “The doctrine of the Eucharist” in M. Walsh (1994) 267. However, Stibbs (1954), Berkouwer (1968), Bray (1984), Stott (1986) 255-273, Jones (1989) 55-83 and Carson (1996) 151-168 provide valuable material from an evangelical point of view.